The Empire strikes back! The new Electro Empire label kicks off with a long overdue digitally remastered re-release of this EP including the four winners of the 2003 Electro Empire.com theme song producers' competition. 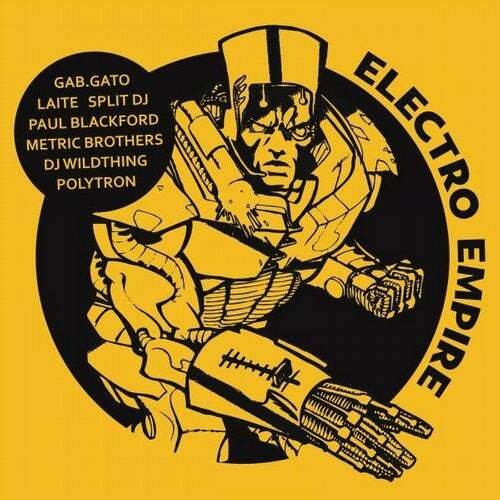 While the songs by Gab.Gato from Italy (The Villains Inc., Dominance Electricity), Finland's Laite (X0X Records) and Split DJ out of Spain (Microciudad Recordings, Beathazard) represent the New School Electro sound of 2003, DJ Wildthing from Denmark takes it back to the roots, delivering a traditional mastermix packed with Electro classics from the 1980s. As a special bonus this re-release also features four previously unreleased competition entries by the Finnish duo Polytron (Kostamus Records), Paul Blackford (Militant Science, Twilight 76), the Metric Brothers aka Dr. Skunkenstein & DJ D.S.K. from England (Second To None, Electrolab Records) and once again DJ Wildthing with the second part of his Electrofunk mastermix. This is Electro!